I saw this blog entry on Twitter and was intrigued by what the person had to say about reinventing herself. It reminds me a bit of the elemental balancing ritual I do each year. I'm in the 2nd month of my new year, and in a sense the new person I'm discovering as I work with the element of fire. But it also made me think about the fact that I'm in the process of reinventing two of my businesses. I'm reinventing Magical Experiments, slowly but surely, both in terms of offering correspondence courses (I'm working on the magical process course currently) and in terms of branding. But with Imagine Your Reality, I'm reinventing the entire business. I've just gotten the social media piece nailed down, and I'm finally turning toward the business coaching part and redoing my entire business plan. It's a reinvention of identity, both for myself, but also for people I want to market my services too. It's an ongoing challenge, because I'm not just writing a new business plan, I'm also doing a fair amount of internal work. For example at our class, we were challenged to rewrite our internal stories into more positive ones. What does it have to do with business? Quite a lot actually, because the internal reality you believe is the reality that manifests in your life. 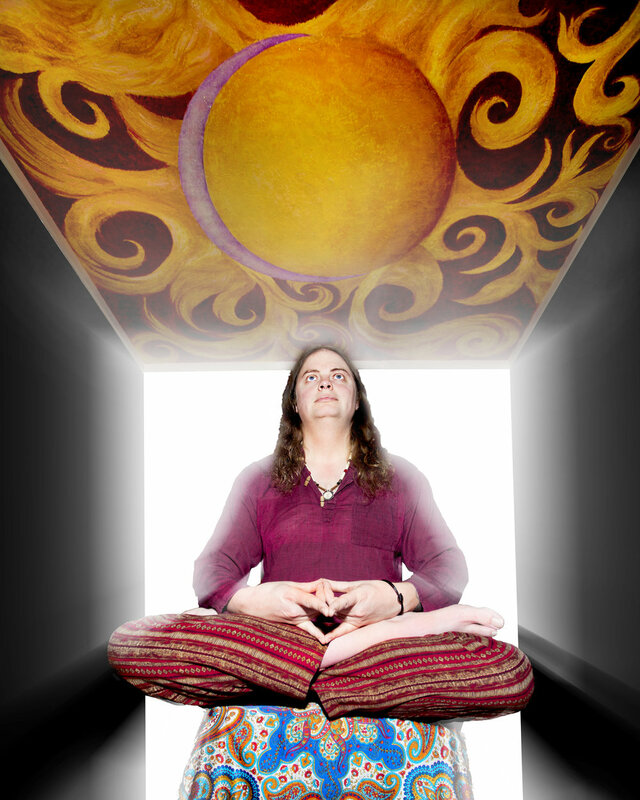 Each year, the elemental balancing ritual is part of my reinvention. The thematic approach provides enough structure to make consistent changes, while providing enough freedom to allow yourself to experience the lessons needed to make those changes happen. A necessary part of that process involves keeping a journal of sorts, which is why I blog on this journal about the experiences each month. The only exception has been a two year gap, wherein I focused on Magical Identity. You won't necessarily find such personal entries in it, but it nonetheless encapsulates the experiences of two years of reinvention. Change is a constant. Embracing change within your magical practice is how you take control of the change you experience and make it part of your identity. I talk about the process of magic a lot on here, but a question that might arise is: What exactly is process and how do I learn it? 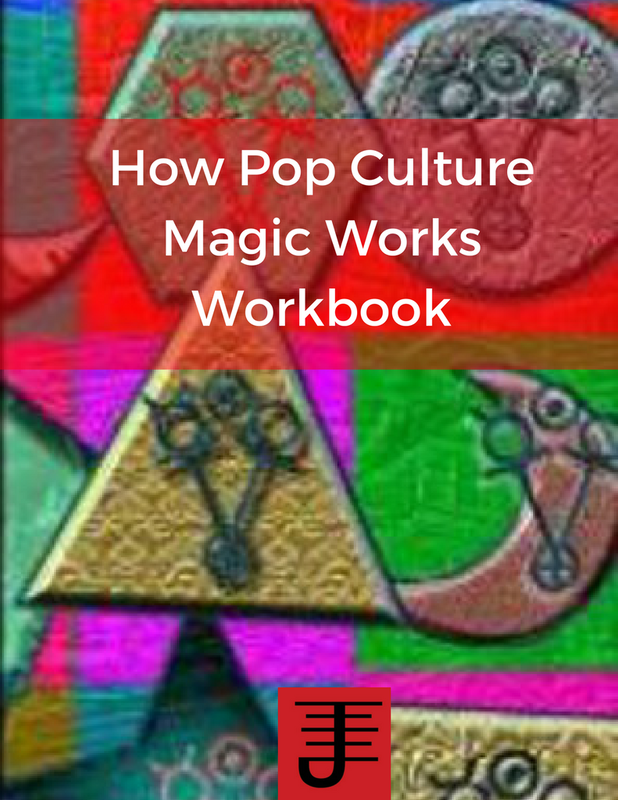 Or more specifically, How do I turn magic into a process? I learned about process from two different disciplines: Academia and Technical Writing. Both disciplines are process oriented, albeit in different ways. In academia, the process is research oriented. If you have an angle you want to explore, you need to do a lot of research and find corresponding evidence that supports your claim, and protects it from potential attacks by other people. This approach to process is more theory oriented than anything else, but it taught me a lot about how to construct an argument, and develop a defense for that argument. It also taught me to appreciate research and the need to ground any work you do in what others have already laid out. To this day, my approach to magic is always based in ongoing research into various subjects that are relevant to the experiments I'm working on. At the same time, academia also taught me the dangers of being too focused on theory. Within the particular disciplines I studied there was very little application, which caused me to question what, if anything, was really being done with the research academics were conducting. I recognized that while research is a necessary and integral part of a process, it must be balanced by something else. Technical writing was the other discipline that taught me about process. It likely helped that my first tech writing job was at Boeing, where one of the phrases is: "Process is king" In that position, I learned that good technical writing had to address the right audience, while providing step by step practical explanations of how to use a given technology. Research also still played a role, but the practical application was the most important part. If you couldn't apply it, it didn't matter. That made sense to me and I realized it was the missing piece that academia didn't have. If you can't apply it, it doesn't matter. Or in occult terms, if you can't apply it, you're just an armchair magician. That's how I learned process, but I doubt most people really want to follow my exact footsteps. But the two lessons you can take from those steps are: Anything you do must be grounded in research in order to show others where its come from and If you can't practically apply what you are working on to improving your life, it doesn't matter. So figure out what you need to research and determine if you can apply it to your life. But there's another lesson I learned from technical writing as well, that can help you develop a process. Everything you do can be broken down into steps. Once you break something into steps you have a rudimentary process. Apply lessons one and two as well and you have a full fledged process. And lets not forget you also need to measure results. If you have a process, you have a result and you need to measure that result to determine if your process works. A process is only effective if you can consistently achieve the result you've designed the process for. In response to this post I wrote, another post was written which commented on the lack of experimentation. I think the author was dead on in his assessment, but it also prompted some further thoughts on my part on this subject. I agree with the author that magic is a highly personal journey in some ways. I've certainly seen that with how people have taken some of my techniques and personalized them. I advocate for such personalization and my point that people should be able to explain how magic works really comes down to being able to explain to other people how they approach magic, with an understanding that is developed based off experience and a willingness to explore the mechanics of magic as it applies to their use of it. Will I get the same result as someone else does if I copy his/her technique? Maybe yes and maybe no. What I know is that if I take a person's technique apart and reassemble it into a process that I understand, I will get results. That's how its always worked for me, and in my books I have advocated for a similar approach on the part of my readers. I'll provide you exercises you can do, exercises that have been tested by myself and other people, but I've always urged people to make any such techniques their own, to personalize and experiment and tinker with the techniques until they have a thorough understanding of the technique from personal experience, which also fits their definition of magic. I don't know that there is a universal theory of magic. I do know that I find certain models of magic don't work for me because they seem counter-intuitive to my understanding of the world, but those same models work for other people just fine. What I object to however is the tendency of many occultists to not critically examine their process of magic. One of the reasons I think experimentation doesn't occur as much as that there's this focus on obtaining results, with an attitude of, "If I got it, why should I care about my process". We see this attitude echoed in the works of occultists such as Grant Morrison and Patrick Dunn, both of who have stated it doesn't matter if you don't know why or how magic works, as long as you get a result. We've seen it echoed in chaos magic, where it's all about results. If it doesn't matter, then why even examine your process? However it DOES matter, and the magician who aspires to do more than just get results cares enough to explore his/her process in order to understand and cultivate their magical work more effectively, as well as to pass it onto other people. If the magician understands his/her process and can take the time to explain it and provide opportunities to both try the techniques as well as personalize them, there should be no problem in passing on the how and why of magic. Another reason few occultists share their experiments is because there has been and is a tendency for many occultists and pagans to be judgmental of the people sharing their experiments. Since the late 90's I've experimented and shared my ideas, and for the majority of that time, I received more contempt and insults than people actually interested in what I had to offer. Even with that kind of obstacle, I persisted and found people to experiment with in groups, in order to try my concepts out. Even now, I have a small group I work with and in that group everyone is encouraged to share ideas and experiments so all of us can try them. But finding such a group is rare. I've had people call me too open-minded, fluffy, etc. I've also had people react because they feel if magic isn't done a particular way, it's not real magic. Obviously such infantile behavior has never stopped me in my work or in publishing it. In fact, one of the reasons I founded the non-fiction line of Immanion Press was to make sure that books that didn't fit conventional or traditional ideas of magic would have a chance to be published. Such traditionalism isn't confined to occultism. I've also seen it in academia. The reality is that in any given field of study there are few pioneers and many people sticking with what's tried and true. The pioneers have to be willing to take risks, and try and find like minded people who are willing to advance the evolution of magic by thinking beyond what has already been presented to them. Recently, I had a conversation with the editor of a Pagan magazine. We were trying to figure out which themed issue we could do an interview of me. She mentioned that her readers wanted material that was grounded and practical, essentially material that fit what they knew. We came to the understanding that I didn't really fit her magazine in a conventional sense, and we decided we'd have the interview for the spell casting theme issue. I remember writing her and explaining that I'm out there on the edge, experimenting with magic, trying ideas out, fitting other disciplines to magical theory and practice. I am out here on the edge and there aren't many of us here, because to be on the edge is to go where the dragons roam and the angels fear to tread. It's to experiment beyond the tried and true, to defy what is considered known in order to bring the unknown into manifestation. And really, truly, I've been out here on the edge for most of my magical practice, experimenting on magic, trying things out, going with ideas that might seemed half baked and talking about them, because I don't care if its heresay...it won't become more than that if we don't share, if we don't publish, if we don't challenge what's known in favor of exploring the unknown. I'm out here on the edge. Won't you join me? 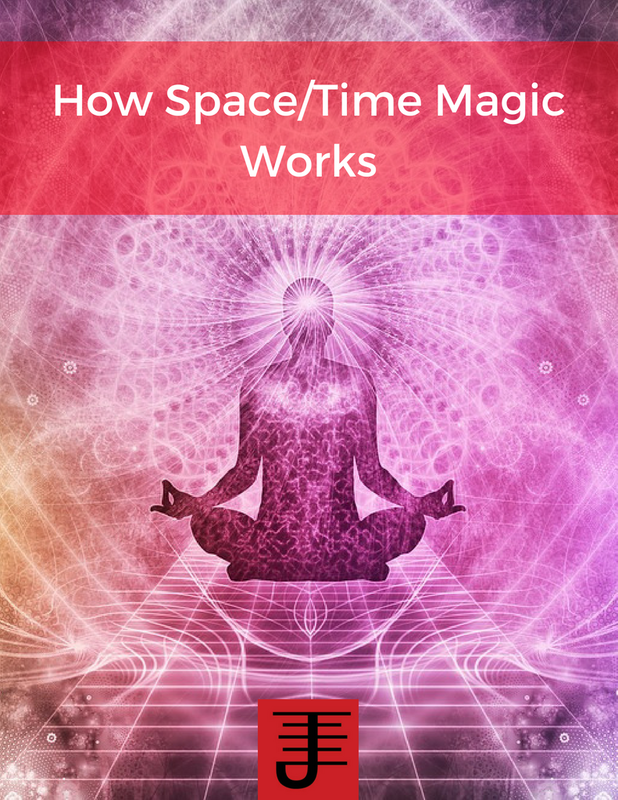 At the most recent magical experiments night, we decided to do three meditation exercises with music out of the book Arcana V (affiliate link). I was intrigued by the exercises, partially because of the focus on space, sound, and silence, and partially because it reminded me of my own experiments with music and magic in my early 20's. The first experiment involved a minimalistic approach to sound. The goal was to focus on the silence that occurred between sounds being made. I chose to ring a bell for this exercise. I'd ring the bell and as the sound faded, we focused on paying attention to the silence. What we all agreed on was how little silence there was! Whether it was the bark of a dog, the hum of the refrigerator or the sound of a lawn mower, all we heard was sounds. I personally think that silence is an artificial construct, as opposed to an actual experience. There is always sound around you...you can't get away from it...at least not on this planet. The second experiment involved listening to music that could be defined as sensory overload music...in other words white noise. I picked Merzbow for this experiment. 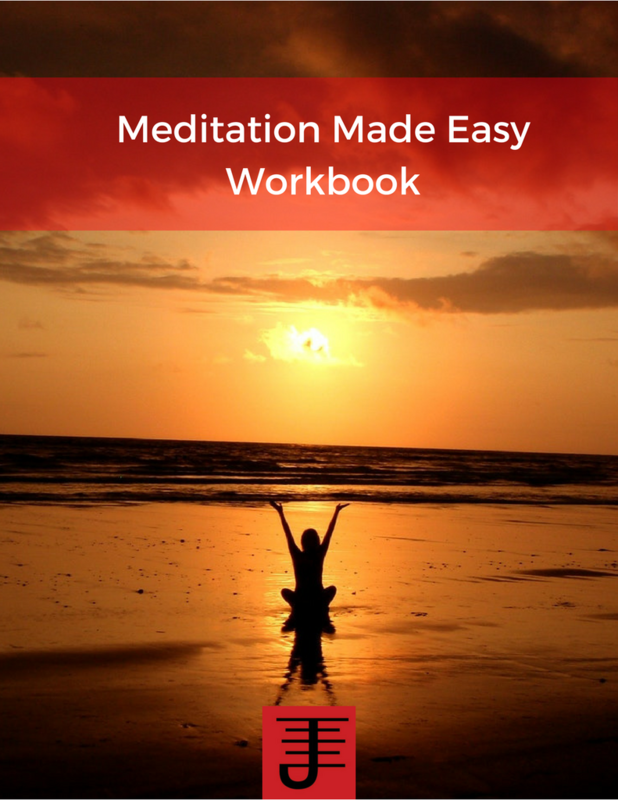 The goal of the exercise was to meditate and in the process ignore or block out the sounds. Everyone had varying degrees of success. We noted that when vocals were included it was a bit harder to ignore the sounds. The third experiment involved listening to layered music, or music with multiple sounds themes (but not white noise). The goal was meditative absorption...absorbing the music without dwelling on a particular theme or noise or word. We listened to Tangerine Dream's Atem, which is richly layered music. I found that relaxing into the music allowed me to be with it. This was the easiest exercise, probably because I listen to music all the time, when writing or working, and actually just absorb it as a way of keeping me focused. All three of these experiments were fun to do and brought to mind the early experiments I did, where I would use selected albums to create sonic soundscapes for ritual purposes. We'd put the music on in the background, while doing our ritual, using the music itself to create the sacred space as well as any defenses we felt we needed, while we were doing magical work. I particularly liked using Coil's music for that purpose, but have also used Rapoon, Scorn, Current 93, and other such bands to produce sacred space and altered states of mind for doing ritual work. The other experiments this reminded me of were experiments I did with my voice. I created sound sigils, which I would activate through vibratory vocalization of the sigil, or through whistling specific sounds at specific tones to activate the sigil. I also experimented with using vibratory vocalizations for invocation and evocation work. I still do use these techniques now, but using them now is not so much of an experiment for me anymore, though I suppose it could be an experiment for others. It is something I will write more about for an occult journal or two. When I think about theme music, I think of how I can graft a particular song to an emotional mood and then use that song to inspire emotional energy I can use for my magical or business work. Not just any song will do. For instance, I'm listening to DJ Soulslinger while I write this. It's good music, but it doesn't pitch an emotional response in me, so while I enjoy listening to it, I wouldn't use it as a theme. The song has to be something that resonates on an emotional level, something that gets you to feel something, and something that you can sing within your own head, when you can't listen to it. And the emotional response needs to be something you can actually use. If a song makes you feel depressed and you can't find a magical use for it, then it's not a theme song. It might be a song you listen to when you feel down, but a theme song is a call to action, a call to make a change. Now if you can use that song as a way to channel your feelings of depression then it could be a theme song. Your song doesn't need to have words either. I love the score to Dynasty Tactics 2 and can hum it and find inspiration from it. I've used that score in magical work, as a way to charge my energy. There's no words, but the sounds are enough to invoke an emotional response and that's enough to make it work. It really comes down to finding music that makes your soul sing and consequently stirs the very power within you necessary to make magic happen. Different music can and does embody different themes. What I would use for a wealth magic working would differ from what I'd use for a love magic working. So long s you can identify a theme that a song fits...use it. You don't need to listen to it to invoke the theme. Just sing it and let it carry your emotions into the magical work you'll be doing. When Kat and I were driving back from Bend recently we both focused on doing a bit of weather magic to help us get through Mt. Hood before the weather got cold enough to turn rain into sleet or snow, and wet roads into ice. I made an observation to Kat that it'd be interesting to attach an association link to the cool/heat dial for your car's air conditioning/heating. When you adjusted the dial, you'd metaphysically adjust the weather as well. By creating an association with the dial, you'd also automate part of the process involved in doing weather magic. It was, as I mentioned, an observation, but its those kind of observations that come to me that lead to some kind of experimentation to see if the observation can be implemented into a practical magical working. I'd note that such a dial could not "control" weather per se, but rather would be used to work with specific weather possibilities, such as strengthening the possibility that the weather would stay at a specific temperature or increasing the possibility of rain (or decreasing). Weather magic, much as with magic in general, is all about working with possibilities and influencing the outcome that a specific possibility will become an actual reality. Reading the Octavo is kind of a rehash of some of Peter Carroll's other ideas, but at the same time is a clear extension of where he has developed those ideas to a level of sophistication that mathematically proves his points. The Octavo isn't an easy read, and I recommend doing some research into the technical jargon that Carroll uses, but underneath the jargon the reader will find a concise explanation of specific magical concepts and how those magical concepts fit into our particular universe. 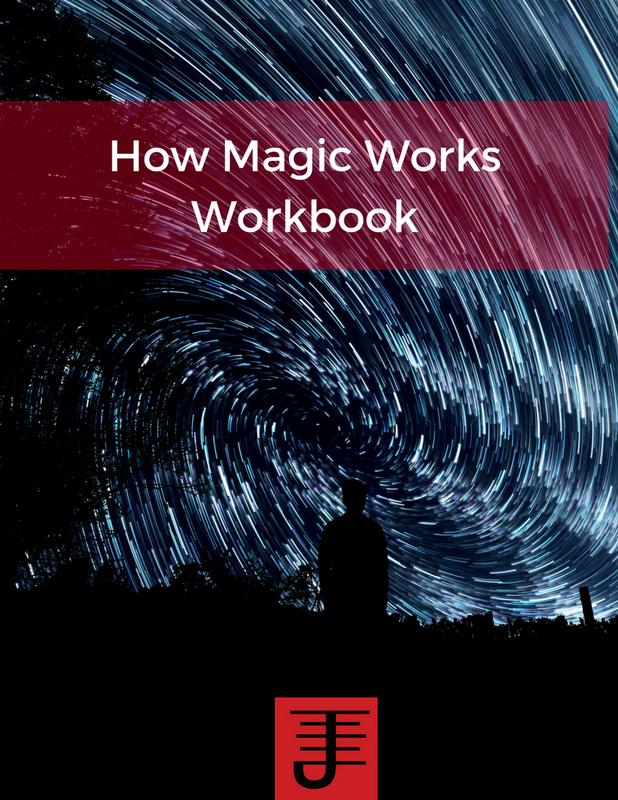 It's worth a read, especially for the magician who is focused on practical magical work.